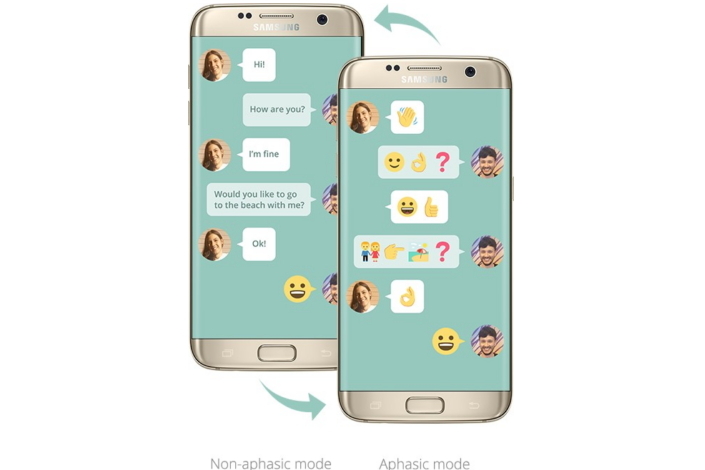 Samsung Electronics Italia earlier this month launched Samsung Wemogee, the first emoji-based chat application designed to enable people with aphasia and other language disorders to more effectively express their ideas and emotions with the people they love. Currently, there are more than three million people worldwide living with aphasia, a disorder that causes the loss of language capabilities. Aphasia is often the result of an injury to the parts of the brain that are responsible for speaking, reading, writing and understanding others. Given the fact that language is the most important tool to communicate, aphasia can have negative effects on one’s social relationships and often takes a toll on one’s emotions. But recent studies show that emojis, which are predicted to become a universal visual language of the future, can help people with language disorders like aphasia better express themselves. Developed in collaboration with a team of speech therapists, Samsung Wemogee functions as a kind of translator between text and emojis. The app includes a library of more than 140 phrases related to basic needs and emotional expressions. The predefined phrases are translated into logical sequences of emojis and are divided into six main categories including: everyday life, eating and drinking, feelings, help, recreational activities, and anniversaries and celebrations. 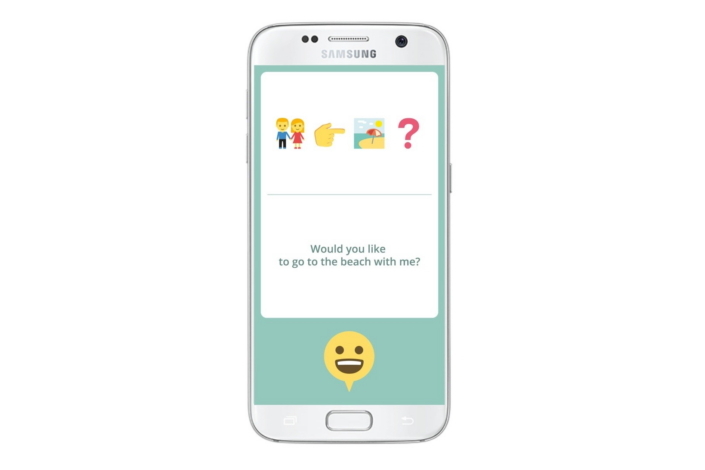 Through a simple and intuitive interface, aphasic patients identify what they want to communicate through a panel of visual options, sending the chosen sequence of emojis to the non-aphasic recipient. The non-aphasic user will receive the message in text form and can then reply using pre-set textual phrases. Wemogee also works as a home practicing tool, enhancing the effectiveness of traditional rehabilitation treatment of aphasia. Through the new Wemogee communication tool, Samsung hopes to continue to enhance the way all people interact with the ones they love. The Android-compatible application will be available for free download on Google Play beginning April 28 and supports English and Italian languages. For more information, visit the Wemogee website.